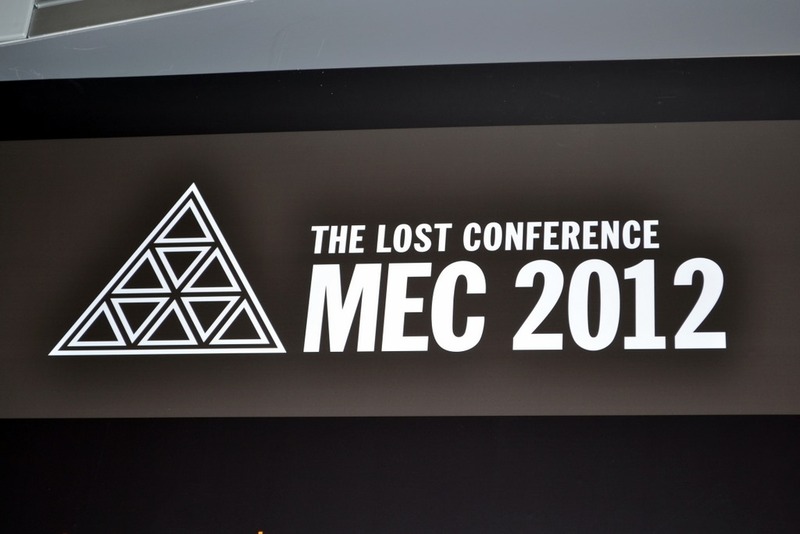 MEC 2012 is over and I’m already feeling nostalgic about it…! The conference, or actually unconference as it was named by Michael Atalla during his opening keynote was – at least for me – one of the best conferences I attended… ever!. Although there’s still room for improvement, the new style that focused on having more interaction between the audience and the speakers was definitely a huge success. Instead of having sessions where you’d be lectured by the speakers, they wanted to create more interaction between the audience and the speaker. In fact, some speakers relied on the audience to ask questions: it was nice to see that some speakers didn’t even bring any PowerPoints slides with them! Originally, I was planning on doing a general recap of the content at MEC but I found out that fellow UC Architect Michel de Rooij “beat me to it” and already did a very good job summarizing the content. In fact, did you know that Michel didn’t have the opportunity to visit MEC? Instead, his recap fully relies on the content that the Exchange product team released along with the information you could find on Twitter (#IamMEC). When you think about it, that’s pretty amazing! At some point there were even cross-session interactions happening! I can tell you this: the Exchange community is very alive and kicking! MEC was also the place where I (finally) had to opportunity to meet some of my UC Architects colleagues in real life. Although we didn’t spent as much time together as we had hoped for, we had some very memorable moments like the one in the picture. “The UC Architects, joined by Distinguished Engineer Perry Clarke” ~ a picture taken by Tony Redmond! Now, I first have a few days vacation planned here in the US, but expect to see some new articles when I get back as there’s much, much to talk about! Until later!